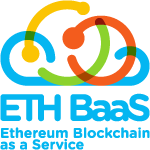 Microsoft and ConsenSys are partnering to offer Ethereum Blockchain as a Service (EBaaS) on Microsoft Azure so Enterprise clients and developers can have a single click cloud based blockchain developer environment. The initial offering contains two tools that allow for rapid development of SmartContract based applications: Ether.Camp - An integrated developer environment, and BlockApps - a private, semi-private Ethereum blockchain environment, can deploy into the public Ethereum environment. The Enterprise Partner Group at Microsoft is on the front lines with some of our largest customers. Everyone, particularly Financial Services, is interested in Blockchain technology. While a platform like Bitcoin has many great uses specifically as a Cryptocurrency, Ethereum provides the flexibility and extensibility many of our customers were looking for. With the Frontier Release last summer, Ethereum is real and has a vibrant community of developers, enthusiasts and businesses participating. In Financial Services particularly, Blockchain is a major disruptor to some of their core businesses, and FinTech companies are driving innovation in this space. Ethereum is open, flexible can be customized to meet our customer’s needs allowing them to innovate and provide new services and distributed applications or Đapps. Ethereum enables SmartContracts and Distributed Applications (ĐApps) to be built, potentially cutting out the middleman in many industry scenarios streamlining processes like settlement. But that is just scratching the surface of what can be done when you mix the cryptographic security and reliability of the Blockchain with a Turing complete programming language included in Ethereum, we can’t really image what our customers and partners will build. “Ethereum Blockchain as a Service” provided by Microsoft Azure and ConsenSys allows for financial services customers and partners to play, learn, and fail fast at a low cost in a ready-made dev/test/production environment. It will allow them to create private, public and consortium based Blockchain environments using industry leading frameworks very quickly, distributing their Blockchain products with Azure’s World Wide distributed (private) platform. That makes Azure a great Dev/Test/Production Environment for Blockchain applications. Surrounding capabilities like Cortana Analytics (machine learning), Power BI, Azure Active Directory, O365 and CRMOL can be integrated into apps launching a new generation of decentralized cross platform applications. It is an exciting time. Check out our templates and search for Ethereum. How is Ethereum different or the same as Bitcoin? A data structure called the Blockchain which serves as the back-end database. The blockchain is a time-stamped, non-repudiable database that contains the entire logged history of the system. Each transaction processor on the system maintains their own local copy of this database and the consensus formation algorithms enable every copy to stay in sync. 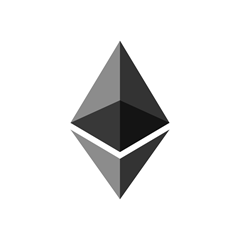 A cryptographic token, the Bitcoin (BTC) in the Bitcoin protocol, and ether (ETH) for Ethereum. BTC serves as the cryptographically secured unit of value, numeraire and currency in the case of the Bitcoin protocol and hybrid fuel/currency used as a Cryptocurrency. ETH serves as the cryptographically secured unit of value, numeraire and hybrid fuel/currency for the Ethereum protocol. A peer-to-peer network for discovery and communications. This turns the traditional client-server architecture into one in which all nodes are both clients and servers, decentralizing the system and removing single points of control or vulnerability. In Bitcoin, all transaction processors (miners) come to consensus about what happened and when with respect to transmission and storage of the Bitcoin value token. This happens approximately every 10 minutes. This requires a slim majority of honest processors. In Ethereum, all transaction processors (miners) come to consensus about what happened and when with respect to transmission and storage of the ether value token as well as coming to an agreement about all of the processing that is done in all of the shared programs on the Ethereum World Computer. This happens approximately every 15 seconds. A virtual machine that enables decentralized applications in Ethereum and programmable money in Bitcoin. Visit ethereum.org for more details.